A day of paintball spirals out of control with an “alienating” visit from some “unidentified” strangers. This story reminds young video gamers – as well as adults – that we need to invest our time wisely to please God. Don’t miss this hair-raising Bullet and Prince adventure! 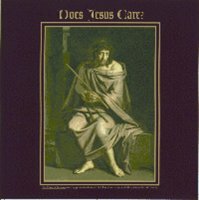 Does Jesus Care? is a 20-song recording featuring solo performances by Comforting Mercies Ministries founder Mark Ring. Do you ever find yourself asking whether Jesus cares about you? These songs answer with conviction – Yes, He cares! Also available on cassette tape. Click More Details for a list of songs and audio previews. Track 2 12. Does Jesus Care? Does Jesus Care? is a 20-song recording featuring solo performances by Comforting Mercies Ministries founder Mark Ring. Do you ever find yourself asking whether Jesus cares about you? These songs answer with conviction – Yes, He cares! Also available on CD. Home School Tip of the Week is a practical resource for those who have made the decision to teach their children at home. One audio cassette contains all 48 tips, developed by Dr. Rhonda Galloway. Click More Details for more information and an audio preview. As a college professor, a researcher, and a mom, I hope to offer some help to those of you who have accepted the responsibility of teaching your own children in your homes. I laud your efforts to provide your children with the very best education available to them in our society today. Parents can provide the solid, secure teacher/pupil relationship conducive to the child’s academic success. Parents have time to provide individual attention to the student and are available to monitor closely the academic progress of their children. Parents are suited to identify the amount of structure that is appropriate for their child. In other words, parents can provide an educational freedom that the conventional classroom cannot. The research literature consistently emphasizes the importance of family support in the academic success of students. But I know that most of you home school for reasons in addition to mere academic success. You want your children to become productive, well-adjusted adults firmly grounded in your family’s spiritual foundation. I hope you’ll listen each week as I offer a few suggestions from my perspective that might help your family succeed in reaching these educational goals. Mark Ring established Comforting Mercies Ministries in 1992 as a way to reach out to people who had experienced great trials and those who simply needed encouragement. We rely on the prayers of our supporters. We'd love to get your commitment to pray for our ministry no matter when. Please fill out our form to let us know when you can pray.